Giuliana Abruscato, Hauppauge, CF/SS, Jr.
A versatile defensive player, combined with a strong bat, she is committed to play at Binghamton. One of the top players in her age bracket in the nation, she is verbally committed to play at the University of Missouri, due to her powerful bat and arm behind the play. 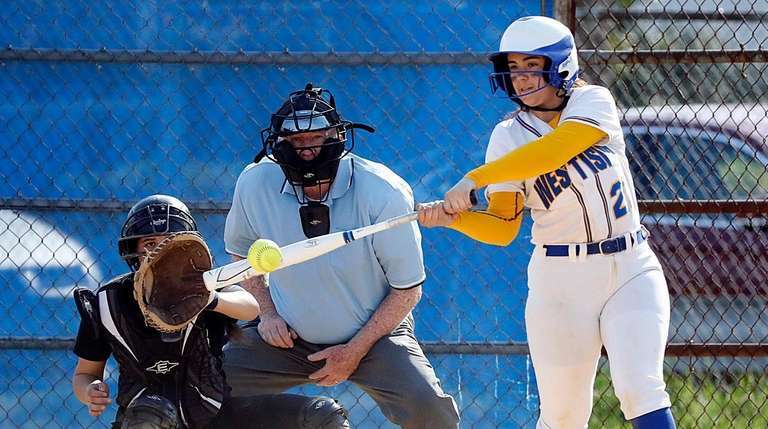 Brianna Adams, West Islip, 3B, Sr.
She hit .451 with 19 RBIs batting in the middle of the order and has one of the best gloves at third base on Long Island, with ability to make highlight-reel plays. Heather Berberich, Calhoun, SS/UTL, Sr.
A four-year varsity shortstop, she led the team with six homers last season for the Nassau AA runners-up. Juliet Bernstein, Baldwin, C, Sr.
A four-year starter, she hit .593 with four home runs, 24 RBIs and threw out 18 of 21 base-stealers. Hannah Burton, Miller Place, P/SS, Jr.
A leader on the mound and in the field, she has strong movement on her pitches and range in the field. She hit .405 and had a 1.94 ERA. Anna Butler, Seaford, P, Soph. Hit .532 with three homers and 22 RBIs, and had 58 strikeouts in the circle. 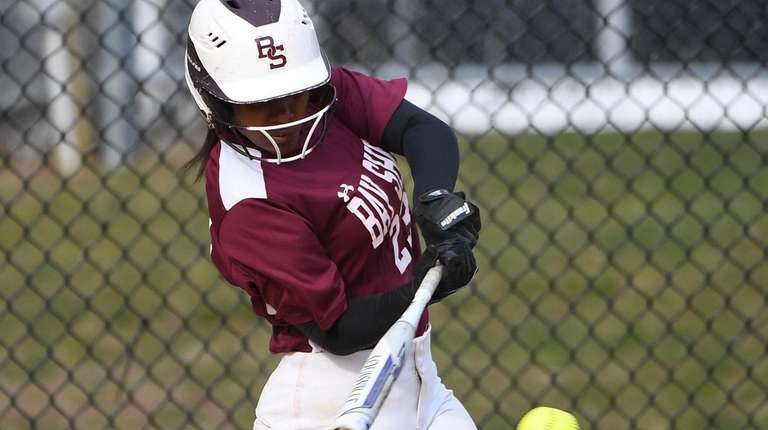 Nikki Caesar, Eastport-South Manor, P/OF, Jr.
Strong command of all her pitches, she had 246 strikeouts to only 42 walks in 22 games with a 2.48 ERA. 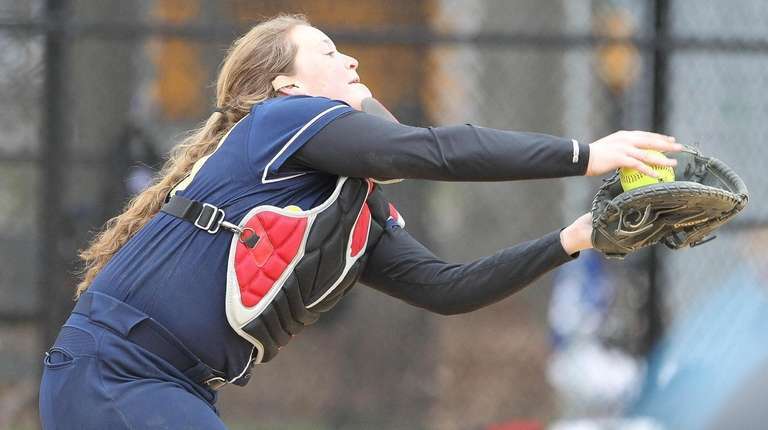 Madi Casale, Bayport-Blue Point, C/INF, Sr.
Hit .491 with 23 runs scored and 14 RBIs, while possessing the ability to control a game from behind the plate. Brianna Castro, Holy Trinity, SS, Sr. Committed to University at Buffalo, she hit .357 with two homers, two triples and a .786 slugging percentage. 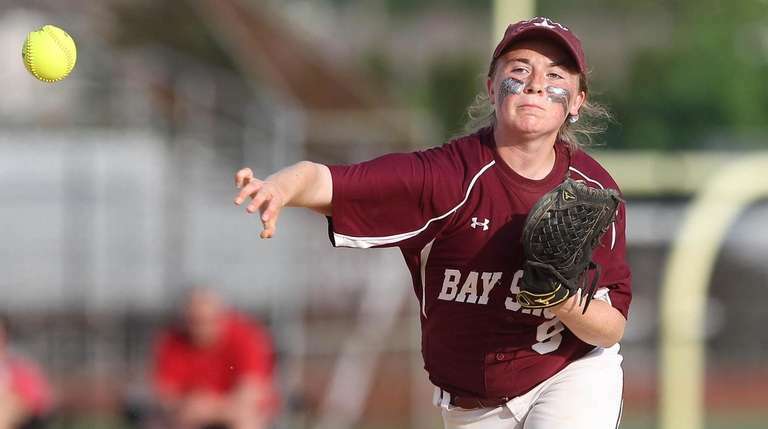 Chrissy Coan, Bay Shore, SS, Sr. Led the team in nine offensive categories last season, including average (.463) along with doubles, homers, RBIs and runs scored. She had a .511 on-base percentage at the leadoff position and has a strong arm at shortstop. Emily Chelius, East Rockaway, P, Sr. Recorded 18 wins with 290 strikeouts and 0.77 ERA for the Long Island Class C champions. She also hit six homers among her 21 extra-base hits. 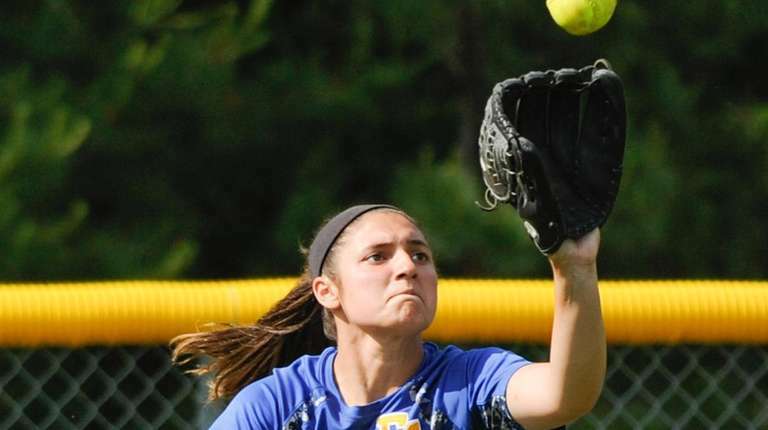 Stephanie Conrade, Kellenberg, OF, Sr.
Hit .486 with 28 runs and stole 20 bases in 20 attempts. She will play at Molloy. Lauren Crawford, East Islip, 2B/LF, Jr.
A starter since the eighth grade, she hit .476 with 28 RBIs and 24 runs. Jazmine Cuffie, Bay Shore, 3B, Jr.
One of the top defensive players at any position on Long Island, she had 45 putouts and 39 assists. She also hit .437 with seven triples and only struck out twice in 84 plate appearances. 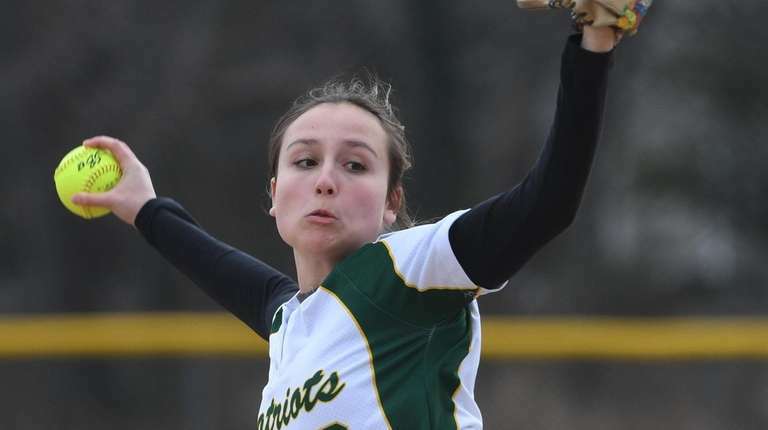 Cassidy Curtin, Knox, P/1B, Jr.
Set a school record with 107 strikeouts in 46 innings last season, coach Mickki MulnardCurtin said, and hit for an above-.500 average. Allison Dell’Orto, East Islip, SS, Sr.
Hit .494 with 38 runs scored and 16 stolen bases with tremendous speed. Committed to play at Ithaca College. Christina DeVivo, West Babylon, OF/UTL, Sr.
Hit .549 with 25 RBIs and 25 runs scored while stealing 15 bases without being thrown out. A strong glove in centerfield who played shortstop to fill in for an injured player last year. Taylor Eggert, Kings Park, P, Sr. Averaged 11.9 strikeouts per game, recording 16 wins and 273 strikeouts with a 1.30 ERA. Ellie Egher, Massapequa, C, Jr.
Has a strong arm and a quick release behind the plate to go with a powerful bat in the middle of the order. Jaynise Espinal, Glen Cove, SS, Sr.
Hit .450 with 32 RBIs while committing only two errors in 18 games at shortstop. Lisa Fabig, MacArthur, 3B, Sr.
Hit .310 with 19 RBIs and 11 doubles in Nassau A-I, while sacrificing her body in the field at a moment’s notice. Adrianna Fasano, Deer Park, SS/P, Sr.
Hit better than .400 last year and scored at least one run in nearly every game. Arianna Fracchioni, Clarke, P/UTL, Jr.
Will take over a prominent role in the circle, along with being one of the Rams’ most consistent bats. Samantha Fried, Plainview-Old Bethpage JFK, C/3B/SS, Sr.
Hit .404 with an .809 slugging percentage, three home runs and 10 extra-base hits. Katie Frisch, Long Beach, 2B/SS, Jr.
Hit .333 with three home runs in Nassau AA-I as the team’s leadoff hitter. Kailey Gallagher, Port Washington, OF, Sr.
Hit .493 with a 1.015 OPS and 22 runs scored. Maddie Gallagher, Port Washington, SS, Jr. Committed to play at the University of South Carolina, she hit .638 with a 1.896 OPS with 19 extra-base hits and a strong glove at shortstop. Haley Giles, Division, C, Sr.
A leader behind the plate, she is one of the top defensive catchers on Long Island. She also batted .403 with 33 hits. Morgan Gilligan, South Side, P, Sr.
Hit .583 with 14 extra-base hits and 28 RBIs and had eight wins and a save with 88 strikeouts in the circle. Jacquelyn Gregorovic, Farmingdale, SS/3B, Sr.
Adelphi commit hit .447 with three homers and 28 RBIs. Julia Golino, Mt. 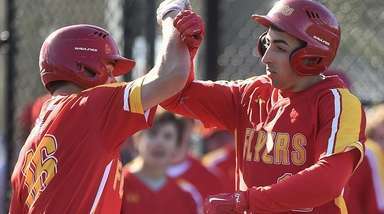 Sinai, P/1B, Sr.
Had nine wins and two homers for the defending Long Island Class A champions. Christina Hassett, Farmingdale, P, Sr. Committed to SUNY Old Westbury, she hit .443 and had a 3.23 ERA and 86 strikeouts. 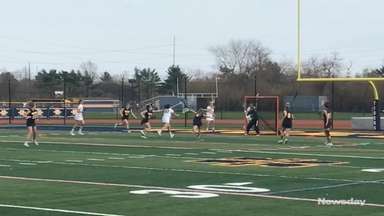 Julie Hilcken, Seaford, SS, Sr. Committed to Cornell, she hit .460 with six homers and 26 RBIs with 21 runs scored. Keren Hodulick, Islip, C/3B, Jr.
Hit .457 with five home runs. Katie Hopkins, New Hyde Park, P/1B/3B, Jr. Three-year varsity starter is one of the team’s top pitchers and hitters, batting No. 4 in the order. She had five homers. Tori Hussey, Smithtown East, 3B, Jr.
Hit .417 with 25 RBIs and has the ability to hit for both average and power, while possessing a strong arm and glove at third base. Kate Karamouzis, Sacred Heart, C/3B, Sr. Four-year varsity player hit .467. Emmi Katz, Commack, P, Soph. Went 11-1 with 58 strikeouts while holding opponents to a .206 batting average. She also hit .333. 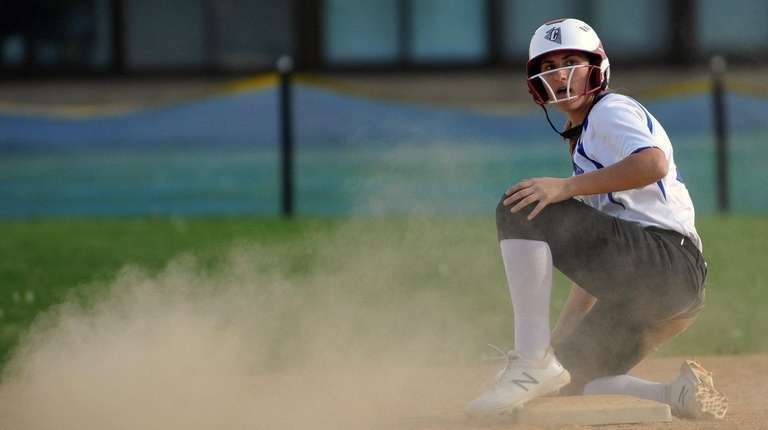 Jenna Laird, East Meadow, SS, Jr.
Last season’s Newsday Nassau Player of the Year, she hit .663 with 56 runs scored, 19 stolen bases and 34 RBIs for the Long Island Class AA champions. Kristina Maggiacomo, Ward Melville, P, Sr. Recorded 148 strikeouts last year and has more than 500 strikeouts on varsity. She also led the team in batting average and RBIs. 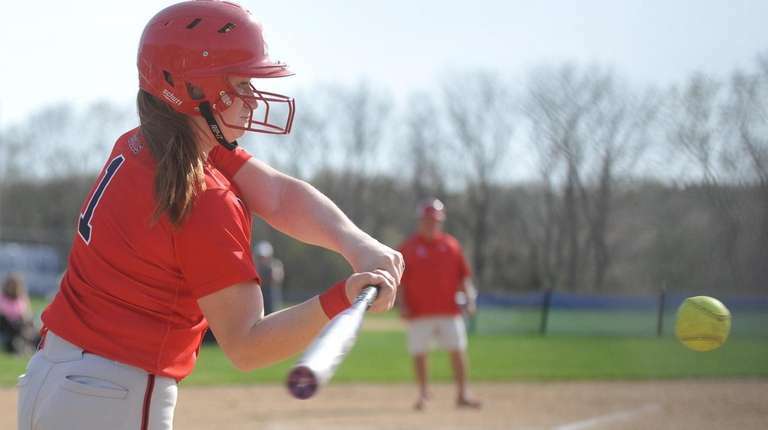 Jackie Mahlmeister, Plainedge, SS, Sr.
A three-year varsity starter, she hit .475 last season and has hit at least .400 in each of her varsity seasons. Melissa Marchese, Shoreham-Wading River, C, Sr.
Hit .411 with three home runs and 19 RBIs, with a powerful bat and the ability to drive the ball to all fields. Katlynn McGivney, Shoreham-Wading River, SS/2B, Sr.
Hit .556 with 25 runs scored and nine RBIs. Holly McNair, Mt. Sinai, 3B, Sr.
Had five homers and plays a strong third base for the defending Long Island Class A champions. Brianna Morse, Mepham, OF, Jr.
Hit .562 with three home runs and 30 RBIs and plays a strong centerfield with the ability to perform at her best in the key moments. Kayla Myles, MacArthur, 2B, Jr.
Hit .434 with four homers, 20 RBIs and 32 runs scored. Miryah Paredes, Smithtown West, SS, Jr.
Hit .444 and stole 15 bases in 15 attempts with a reliable glove at shortstop. Julia Pastrana, Islip, P, Sr.
Hit .424 and went 10-6 in the circle. Kaela Perri, Half Hollow Hills West, 2B, Sr. Excellent defender with great speed and an eye at the plate, she had a .449 on-base percentage with 16 steals and 18 runs scored. 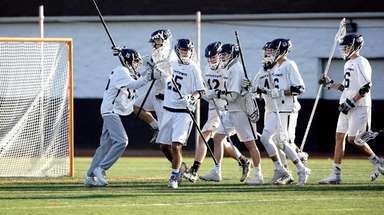 Riley Piromalli, Whitman, P, Sr. Went 9-7 with a 2.43 ERA and 149 strikeouts in 115 innings, including three shutouts. Hailey Puglia, Sachem East, P, Sr.
Won 12 games last year in Suffolk I and enters her fourth season as the team’s primary pitcher. Akemi Poyer, Elmont, SS, Sr. Entering her fifth year as the team’s starting shortstop, she hit .495 with 50 runs scored and is committed to play at Molloy. Jaelyn Rios, Deer Park, 3B/C/SS, Soph. 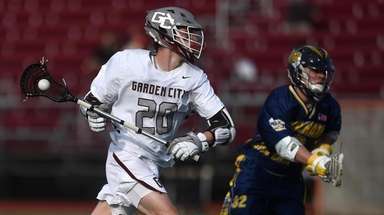 Versatile defender who made the switch from second base to catcher last season and will play all over the field for the Falcons. 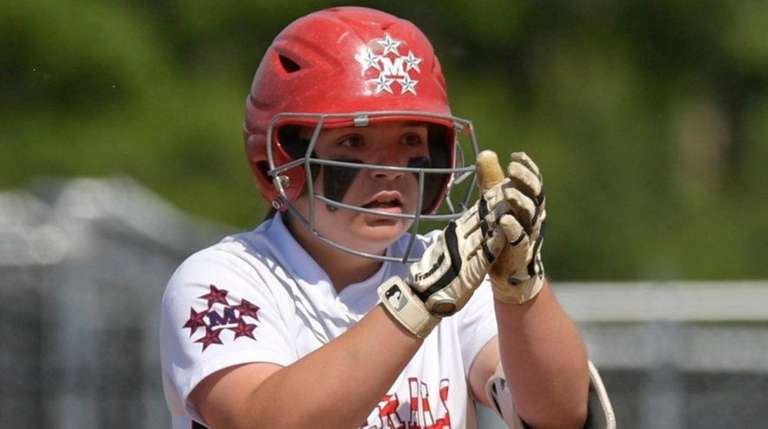 She started 25 of 26 games at second base as an eighth-grader before taking over behind the plate last year. 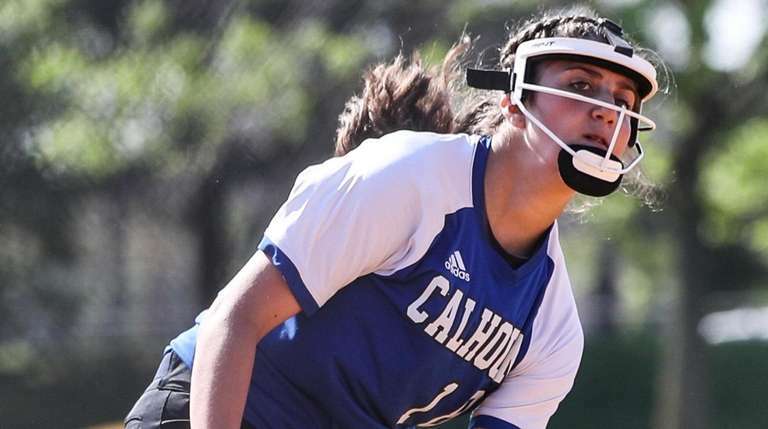 Lindsay Roman, Calhoun, P/UTL, Jr.
On the varsity team since the seventh grade, she had a 1.29 ERA with 130 strikeouts last season, and hit .329 with 20 RBIs. Isabelle Rosado, St. John the Baptist, SS, Sr.
Dani Roselli, Division, 1B/3B, Sr.
Hit .480 with 12 home runs and 42 RBIs last season, with one of the most powerful bats on Long Island. Julianna Sanzone, East Meadow, OF, Jr.
Hit .475 with 21 RBIs and plays a strong outfield for the defending Long Island Class AA champions. Jaclyn Schemmer, Carey, P/1B, Sr. Went 9-3 for the defending Nassau A champions and batted over .300 with 20 RBIs. Destiny Schook, North Babylon, SS, Sr.
With a strong bat and the ability to drive the ball to all fields, she hit two homers for the Suffolk V champions. Emily Seaver, Oceanside, SS, Jr.
Hit .455 with 12 home runs and 30 RBIs in Nassau AA-I. Isabella Secaira-Cotto, Valley Stream South, P, Jr.
Hit .714 and pitched to a 0.84 ERA, averaging 12.7 strikeouts per game. Alyssa Seidler, St. Anthony's, P/1B, Jr.
A power pitcher who went 8-2 with a 1.03 ERA and 129 strikeouts in 75 innings for the CHSAA champions. She also hit .481 with two homers and 36 RBIs and is committed to Boston College. Ava Shorr, North Babylon, P, Soph. She won 18 games and provided a consistent bat in the middle of the order for the Suffolk V champions. Marina Slezak, Kings Park, CF, Sr.
Hit .508 with a .746 slugging percentage while playing a strong centerfield. Catherine Stanford, Oceanside, CF, Jr. Along with being a high-quality swimmer, she hit .556 with 25 RBIs while playing a strong centerfield. Erin Steinert, St. Anthony’s, 1B/P, Sr.
Hit .437 with two home runs and 31 runs scored. Pitched to a 4-0 record with a 0.30 ERA and 40 strikeouts, and allowed six hits over 23 innings. Sammi Swenson, Smithtown East, 2B, Jr.
A good eye with a quick bat at the plate, she hit .500 with 20 RBIs. Julia Tarantino, Kellenberg, P/INF, Jr. Led the team with a .515 batting average and added 10 doubles and 27 RBIs. She pitched to a 12-1 record with a 1.61 ERA and 109 strikeouts in 67 innings. Alexa Tenety, Babylon, P, Sr. Went 4-1 with a 1.47 ERA and 52 strikeouts and will take over the primary pitching responsibilities after the graduation of Allie Stanya, an All-Long Island selection. Jaden Thompson, Mattituck, 3B, Sr.
Hit .617 with 16 extra-base hits, 25 RBIs and 29 runs scored. Emily Van O’Linda, Wantagh, SS, Soph. Srong offensive and defensive player who hit five home runs and added two wins in the circle. Brooke Walker, Westhampton, P/1B/3B, Sr.
NYIT commit hit .609 with six home runs and 28 RBIs. Lauren Wasserman, Sacred Heart, CF, Sr. 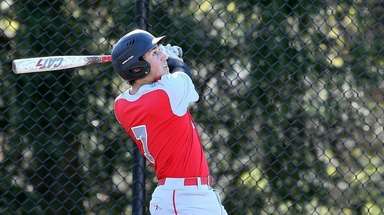 Four-year varsity starter hit .529 and has great speed running down the line and tracking fly balls in the outfield. Elizabeth Yoskowitz, Sayville, 2B, Soph. Hit .554 with 34 runs scored and a .968 fielding percentage. Also possesses great speed on the bases.